Even though many organizations are concerned about safety and OSHA compliance, almost all of them overlook overhead door systems. 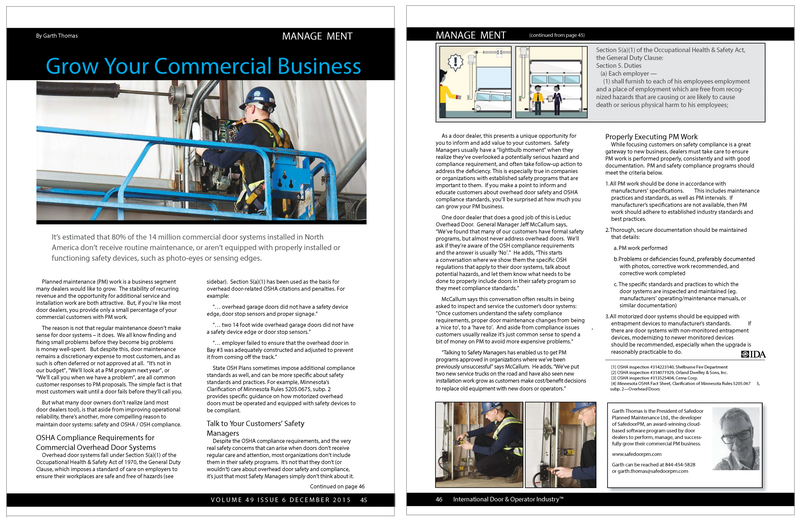 This oversight presents a unique opportunity for door dealers to inform and add value to their customers, and to grow their commercial maintenance & service business. This article in ID&OI explains how.